Meanwhile the summary removal of my piece has damaged my reputation suggesting as it does that I would write material that was defamatory and untrue. It goes to the heart of my credibility. I will deal here with these two claims. There are substantial hidden assets and the Finance Minister has presented a misleading statement of Singapore’s balance sheet to Parliament and the President. For instance MAS had over $300 billion of foreign exchange assets on its balance sheet which should be in the ALS since MAS is a Schedule 5 company. However the counterpart of MAS’s assets are the liabilities it owes to the government in the form of SGD deposits and in fact its net equity is only about $25 billion. To include both in the ALS would be double-counting. Alternatively Temasek or GIC’s assets might not be in the ALS. Again this would be both a Constitutional breach as well as extremely unlikely as another entity (a stealth fund) would surely show up in regulatory filings somewhere in the world. an audited statement showing as far as practicable the assets and liabilities of Singapore at the end of the last completed financial year. and as soon this is audited to present this to the President. I assume that the statement is only of financial assets since the only categories are Investments and Cash. But surely it is not difficult for the government to value its fixed assets (at historic cost minus depreciation, if not at market value), such as the MRT stations and rolling stock, roads, buildings, military equipment etc.. After all these assets produce a stream of income or services that would mean higher expenditures if they were not there. Surely not including them would be in violation of Article 147 (4) (b) and (5) (d) which seems to imply that the widest possible definition of assets and liabilities should be used. It also goes against the IMF GFS 2001 framework. If real assets were to be excluded then why does the Constitution not preface assets and liabilities with the word financial? It is possible, but not very likely, that at least some of these assets are shown in the Statement of Assets and Liabilities (SAL) under Investments-Unquoted. These were valued at $172 billion at 31 March 2011. If this is the case the picture is much worse than I have presented since these assets were bought out of development expenditures which are deducted before arriving at the Primary Surplus. My calculations in “Where have the Reserves Gone” showed that the government would have to have earned less than 5% p.a. compounded on the total of Primary surpluses and government borrowing from 1980-2010 not to have more than the total assets shown in the last SAL (assuming that these are only financial assets) once Temasek’s assets and probable revenues from land sales are factored in. The conclusion at the end of “Where Have Our Reserves Gone?” therefore still stands. Either the SAL is wrong and there are substantial hidden assets (which would mean the government had broken the Constitution) or else returns have been extremely low, certainly much lower than we have been led to believe. Leong Sze Hian, in his recent article on TOC, “Does increasing social spending mean higher taxes?” , uses the ST figure of $800 billion of reserves. Where do the ST and Sze Hian get that figure if the SAL at 31 March 2011 shows only $705 billion and net assets of only some $316 billion? To say that this figure is too low, as he assumed and Mr. Pillai has now stated, is to say that the Finance Minister and the PAP government are misleading Parliament and the President and breaking the Constitution. However this second revision begs more questions than it answers. I have not had time to study the figures in-depth but the net lending figure (which is the general government surplus) for the years 2003-2010 looks much too low given the level of assets already accumulated. It also does not alter the conclusion of my article that the level of net assets is far too low given the operational surpluses, the claimed rates of return for both Temasek and GIC and the likely revenues from land sales. Of course I am as certain as one can be, in the face of a government that provides as little information as it can get away with to its citizens, that CPF is not a Ponzi scheme. But a brief discussion of Herman Minsky’s financial instability hypothesis should show that the connections are not as implausible as they might at first appear. In his prescient study of financial crises, the economist Herman Minsky distinguished between three types of borrower: hedge borrowers, speculative borrowers and Ponzi borrowers. Hedge borrowers can service both interest and principal on their loans from income from their investments. Speculative borrowers can only service the interest but have to rely on asset sales to pay off principal. Ponzi borrowers are borrowing to buy investments that can neither service interest nor principal. Repayment of their borrowings depends on asset prices continuing to rise, i.e. on an asset bubble. When this class is no longer able to borrow more to cover existing interest and principal payments is when the speculative bubble bursts leading to financial crisis and a resulting overhang of debt which has to be worked off for several years. Ponzi schemes eventually collapse because of liquidity crises brought on by an inability to keep borrowing or taking in investment money to meet withdrawals by investors, in a self-fulfilling spiral. Financial institutions in general share with Ponzi schemes the vulnerability to loss of investor and depositor confidence. Many of the world’s major financial institutions might have collapsed in the financial crisis of 2008 if their governments and central banks had not bailed them out. Despite growing inflows from a rising population of new citizens and PRs, the government has continued to make it more difficult for us to withdraw our money by raising the age of withdrawal and the minimum sum that must be left in the fund. As it is a forced savings fund we have had no choice but to acquiesce in the matter. Interest rates for CPF holders, which were previously too low, are now too high given the returns available on similar risk-free investments like government bonds in the current low interest rate environment. They are also too high in relation to the returns the government’s investment wizards seem able to achieve. I would have expected the government to cut the rates it pays as well as to reduce the level of contributions given the low returns. Instead it has done the exact opposite. Of course, while it is a truism that the government can print or borrow more money to pay CPF holders if GIC’s and Temasek’s investments have soured, ultimately we bear the risk because taxes will have to go up or withdrawal will be made more difficult. In that sense we will end up having to pay back our own money. Historically the rates paid to CPF holders have been too low but even with this captive source of funding GIC’s returns have been poor if not abysmal. That is why I have advocated privatising GIC and Temasek and distributing shares to Singaporeans to ensure a fairer balance of risks and rewards. In addition the Net Investment Return Contributions (NIRC) from our sovereign wealth funds is not being used for current spending. Instead the Finance Minister’s allocations to new funds (the number of which seem to be growing exponentially!) as well as existing ones almost exactly mirror the NIRC (http://sonofadud.com/2012/08/11/smoke-and-mirrors-in-the-governments-accounts/). Many of these funds are barred by the Act of Parliament setting them up from paying out more than their income. Presumably the monies allocated stay invested in the sovereign wealth funds thus easing any liquidity problems. If our government’s investment managers have indeed made a lot of speculative investments that are now underwater or difficult to sell then it is convenient to have the comfort of a captive source of fresh funds in the shape of CPF and to be able to tighten the tap on withdrawals. It also explains why the returns from the SWFs that the Constitution allows to be paid out for current spending are instead recycled back into the funds. Singaporeans who have faith in the system did not believe that the government would have made a loan commitment to the IMF without obtaining the President’s approval as required under Article 144 of the Constitution. The government is determined to withhold information that should rightfully be ours as the risk-takers. It believes it has unfettered discretion to do as it wishes with our money as shown by its arguments in the IMF loan suit It is helped by the self-perpetuating climate of fear that prevents most of us from properly holding the government to account extending even to the six Opposition members in Parliament. Yet the warning signs are there. Not only do we have the symptoms listed above but the PM and several ministers have begun to talk more and more about the need for tax increases. In yesterday’s Mandarin forum the PM let slip that he was contemplating raising our population to six million or even more. A rising population of PRs and new citizens mean more flows into CPF just as a rising population in general means more tax revenues to fund current spending. A higher level of tax revenues means, ceteris paribus, a higher Primary surplus and thus more resources to replace funds lost through bad investments. 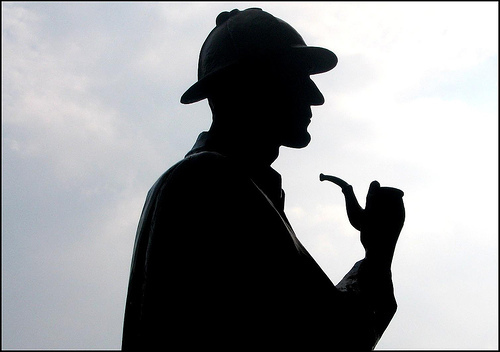 As Sherlock Holmes said, “When you eliminate the impossible what remains, no matter how improbable, must be the truth.” It is unfortunate that we have a government so contemptuous of its citizens that it sees no need to allay our suspicions by providing the necessary information. It is doubly unfortunate that a supposedly independent news site’s editors should be so affected by the climate of fear that they would rather censor and ridicule me than stray into areas that they feel are Out of Bounds. Sir, permit me to point out that both yourself and prof Balding have used the primary surplus as the sole inflow into the government’s asset under management (AUM) to derive the theoretical asset size (after factoring the annualized 20 year return which GIC claimed). There is however a big portion of reserves, the foreign exchange surplus, which is managed by the MAS, which might have been left out. From Singstat’s database, in the last decade between 2001 and 2011, the government’s total financial portfolio assets flow amounted to SGD$96b (presumably all were placed with GIC), compared to foreign exchange reserves accumulated of SGD$262b managed by the MAS. The MAS’s website show the official exchange reserve position at $308b as of end 2011. Even at the current 30 year US Treasury yield of 3%, the annual investment income would exceed $10b. In reality the MAS probably invested in a combination of sovereign bonds over time and the yield is likely to be several % points higher. Last, another interesting point I observed on 2 different sets of data of the official foreign reserves: MAS’s data showed that the year 2011 OFR was $308b compared to year 2000 OFR of $138b, or an increase of $170b. Singstat’s data however showed total OFR inflows over the same period of $167b. The difference cannot possibly be the yield the MAS has received on such a huge sum of foreign exchange reserves, which as estimated above, total at least $10b a year. Where is the missing investment income for the last 10 years? I hope this thread gets more attention, more qualified and curious people than myself should comment and point out any errors or omissions and hopefully shed more light on the subject. There is surely more than what we are being told and keeping quiet hoping for the best is like traveling on MRT hoping we won’t be late for work. Mr K. Jeyaretnam, the hard truth is they lost our monies in almost all the oversea investments and further loses is anticipated by themselves especially in the very near future, that is mainly the hidden reason for increasing our taxes to pay current CPF holder’s and also at the same time trying to increase the citizens age for CPF withdrawal. Another point is if they can still remain silent for such a long time, then obviously there is very little or no monies left in our current reserve otherwise they would had proudly respond and show you or the public our monies. There is a very likelihood that Singaporeans will never be able to see or withdraw any monies from their CPF saving when their time come in the very near future due to artificially inflated high public housing and medicals costs. Singaporeans is already on the way heading to hell now with the current ruling PAP in the Government. Apparently the above monkeys tricks is not something new, just an ordinary bunch… ( moderator deleted) that is paid in millions to … ( deleted) acts and cheats this nation, so to speak. Singaporeans just had to bewares, it a cold war started by Former MM Lee ever since he become a PM long ago and continued into present day. You eliminate or be eliminated if you want to stay in Singapore, it a hard fact, the choice is yours to pick or leave.